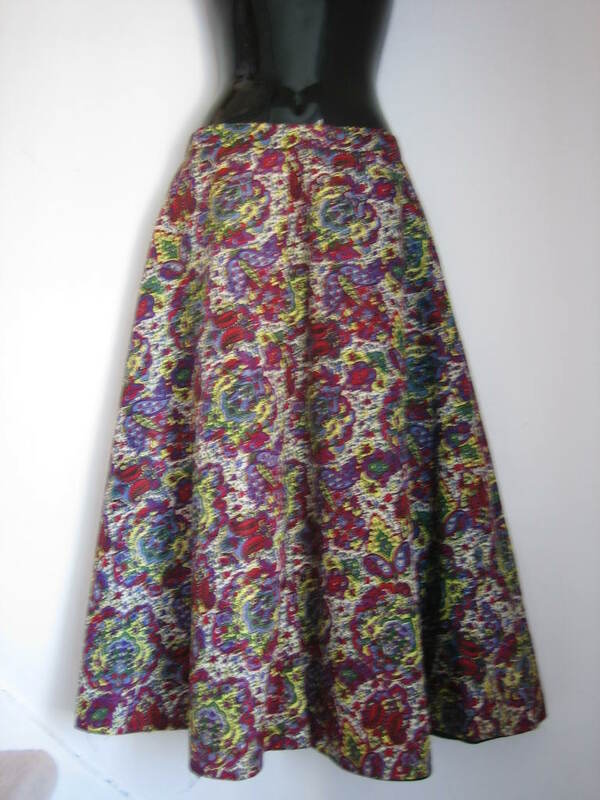 1950s vintage reversible full skirt. 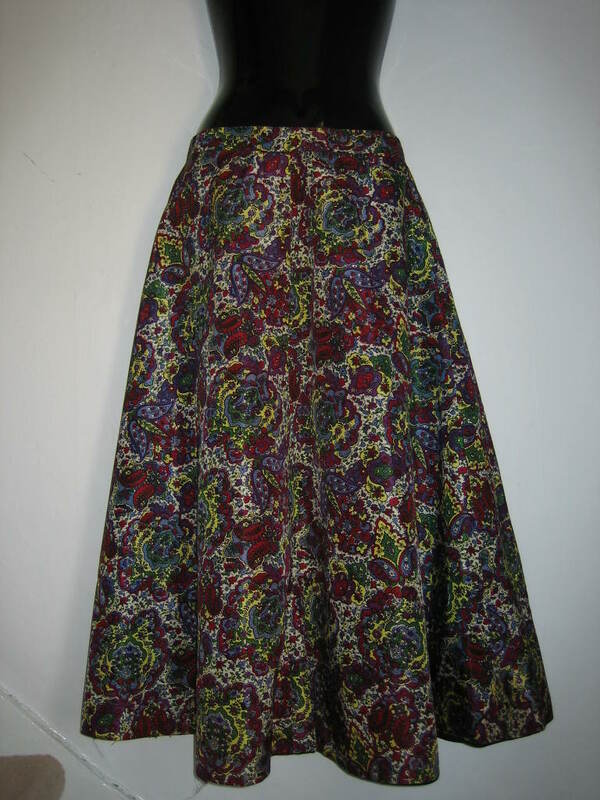 This is a lovely dancing skirt, very full, and fully reversible with a bright paisley pattern on one side, and plain black on the other. It's excellent quality, and has been professionally made from a heavy, shiny fabric, possibly some sort of acetate, which gives off a lovely swishy sound as you move. 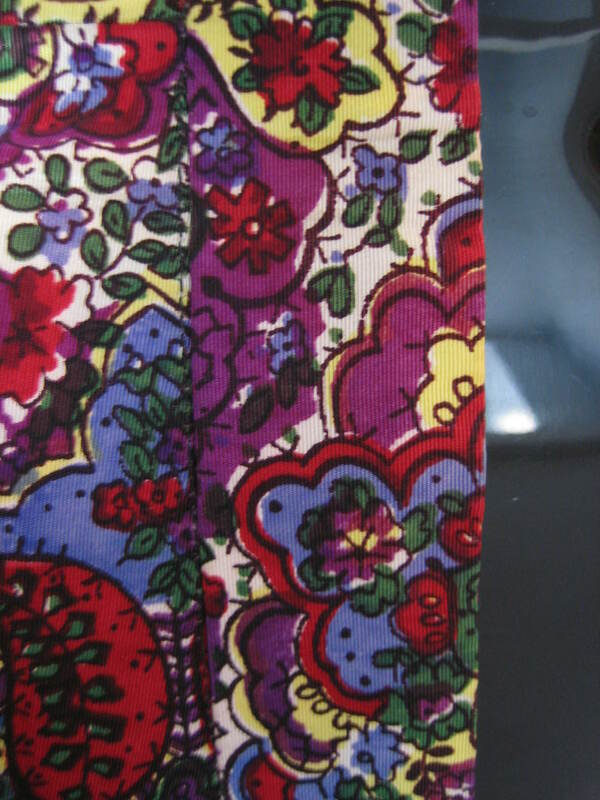 The colours on the patterned side are really clear and bright, truly vibrant! 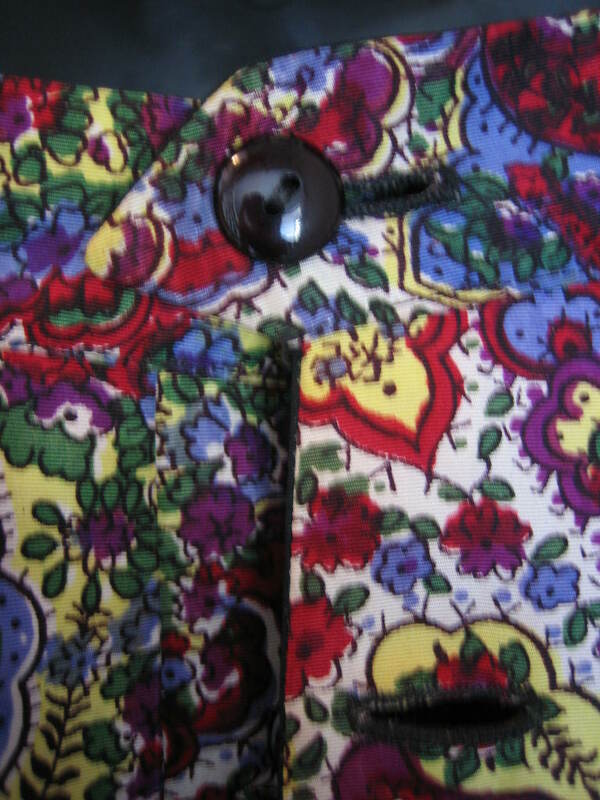 It fastens with four buttons, and is in excellent condition, with no visible flaws at all. 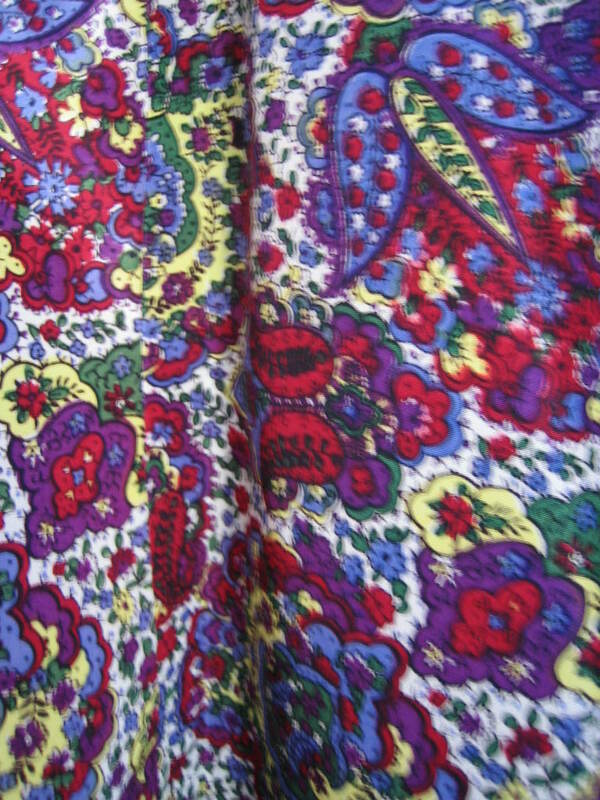 Two skirts for the price of one! 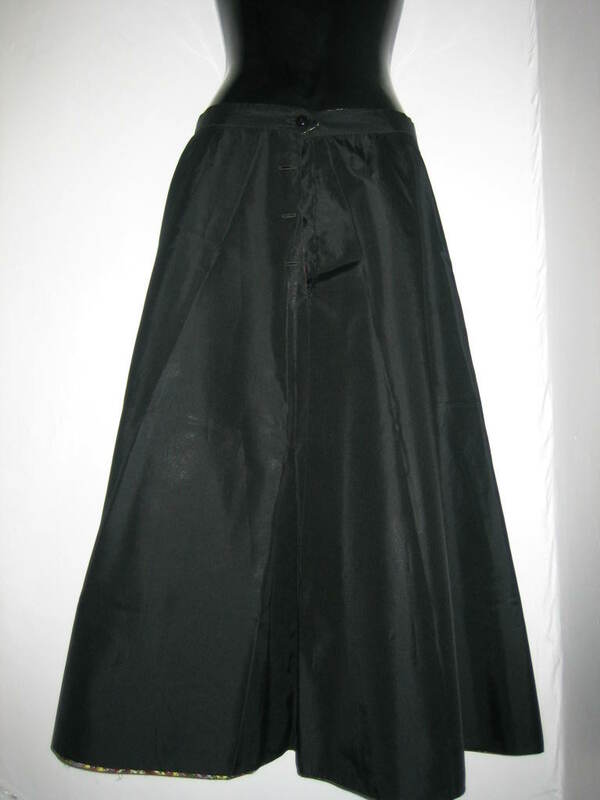 Approximate measurements are: waist, 27½ ins (70 cms); skirt circumference, 100 ins (254 cms); length including waistband (1 inch), 31 ins (79 cms).